Whether you love informal gatherings or your home is ground central for the holidays, the stunning Lennar model in our Dellrose community showcases the many ways you can entertain. The thoughtfully-designed 1.5-story model at 17511 Cypress Hilltop Way in Hockley includes several areas — including an open-concept family room and an upstairs game room — that are perfect for impromptu parties. A formal dining room is ideal for celebrating special occasions. 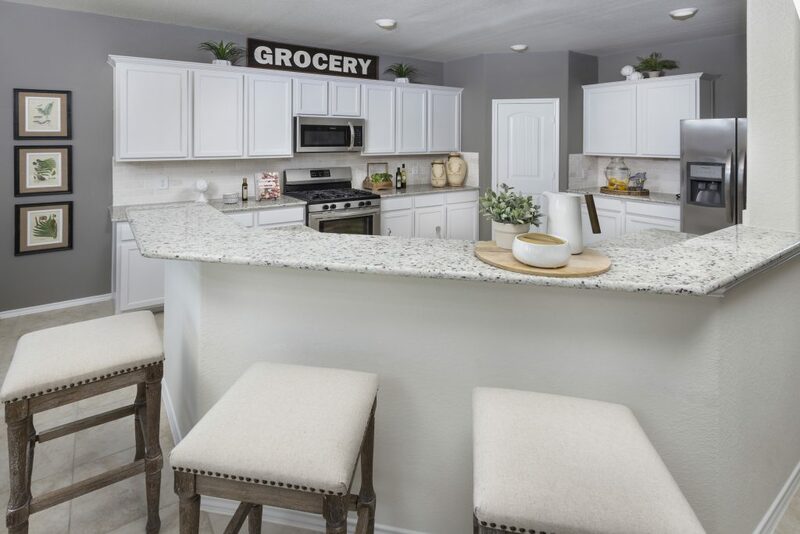 The island kitchen is a dream come true for home chefs, offering plentiful oversized cabinets, stainless steel appliances, a walk-in pantry and more than enough counter space. Enhancing the model are a number of upgrades and options such as the second-floor bonus room housing game and media rooms, a corner fireplace and hardwood floors. Lennar offers two collections in Dellrose. The Brookstone and Wildflower series of floor plans range from 2,273 to 2,841 square feet with prices starting from the $260,990s to the $307,990s. 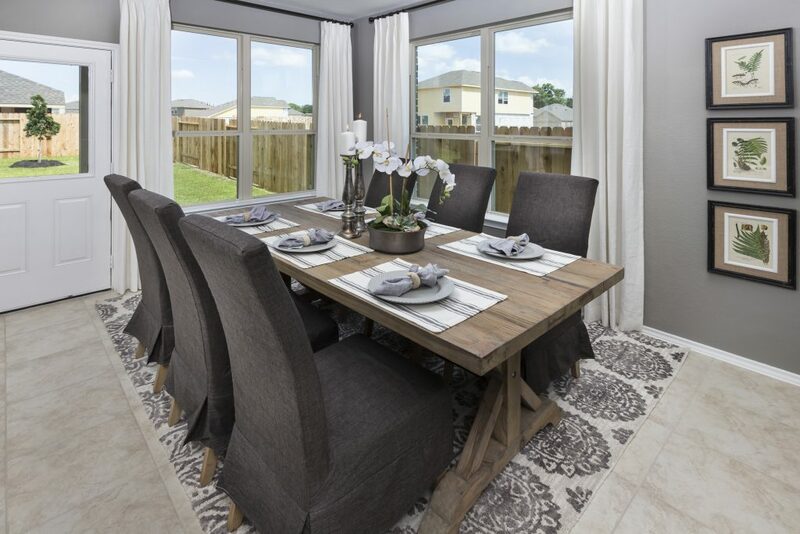 The builder’s popular Next Gen® homes are available in this collection. Perfect for multi-generational living arrangements, the plans feature a home within a home including a separate entrance, living space, kitchenette, bedroom and full bath. The Wildflower II collection offers six plans starting from the $227,990s to the $279,990s. Plans boast island kitchens, formal dining rooms, luxurious master suites, upstairs game rooms and relaxing covered patios. 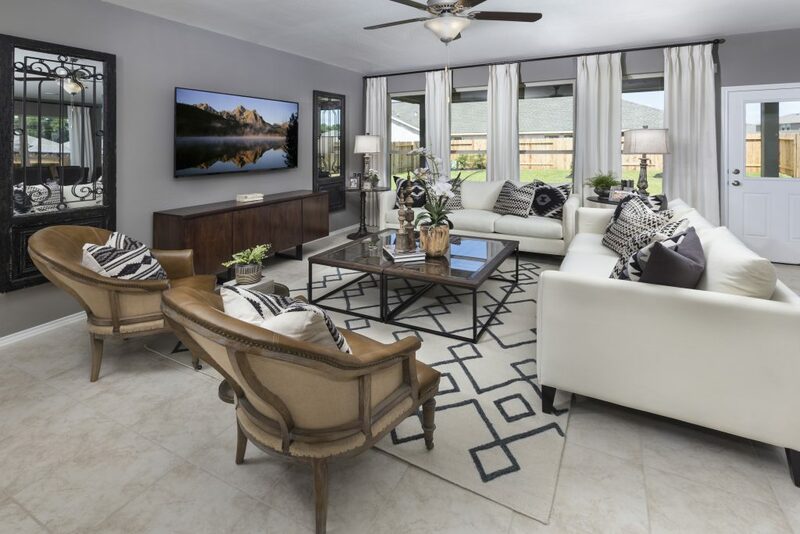 In addition to entertaining at home, you’ll be able to introduce guests to the Dellrose collection of amenities including the clubhouse, resort-style pool and parks. Find out more about Lennar and Dellrose by visiting us today.